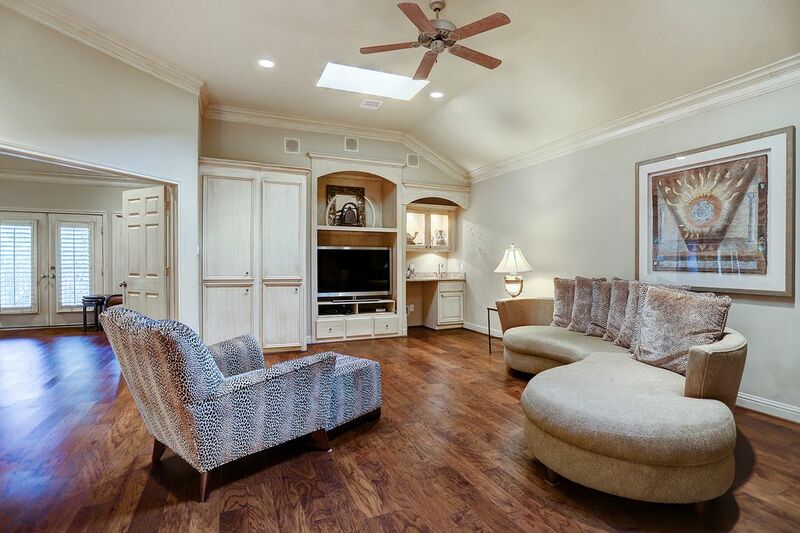 5317 Lampasas, Houston, TX 77056 | Martha Turner Sotheby's International Realty, Inc.
[Front Elevation] Beautiful home in Lamar Terrace with a sweeping, open floor plan. 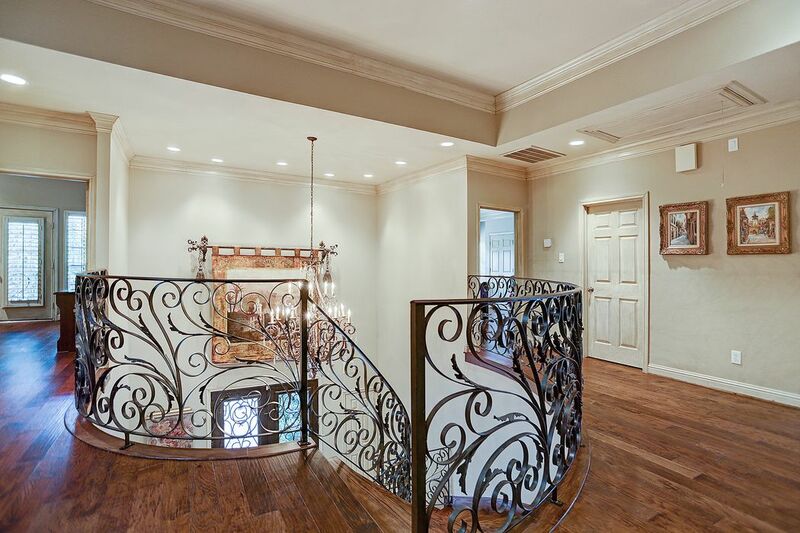 [Foyer] Tall ceilings, a grand staircase, and study to the left. 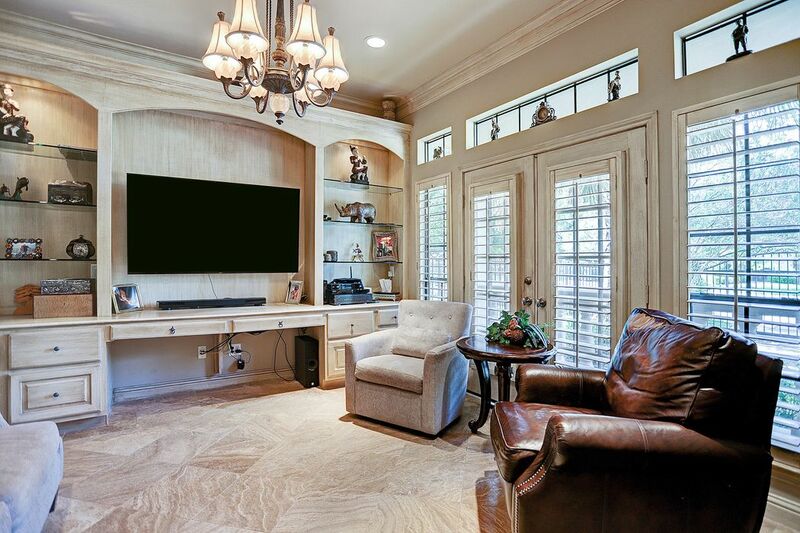 [Formal Living 23x22] With custom shelving, a wet bar, and access to the kitchen and breakfast room, this living room is the ideal setting for entertainment and leisure. 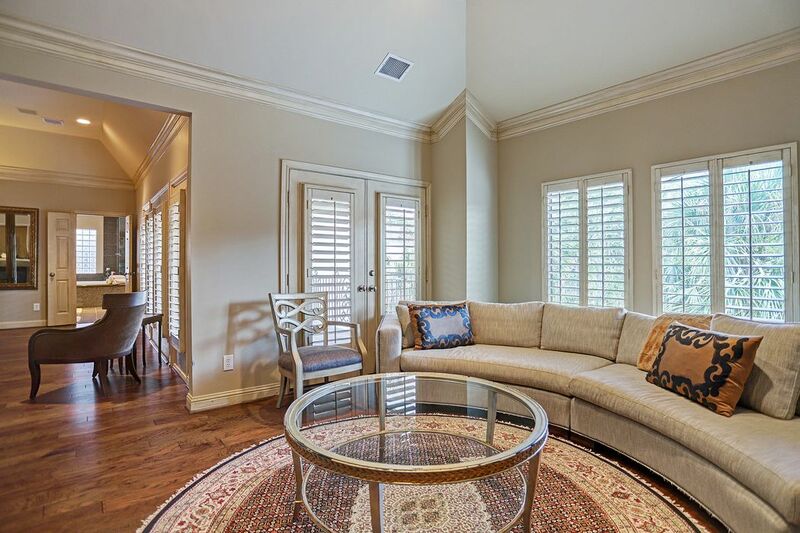 [Living Room 23x22] Amenities include remote controlled fireplace, custom built-ins, and recessed lighting. 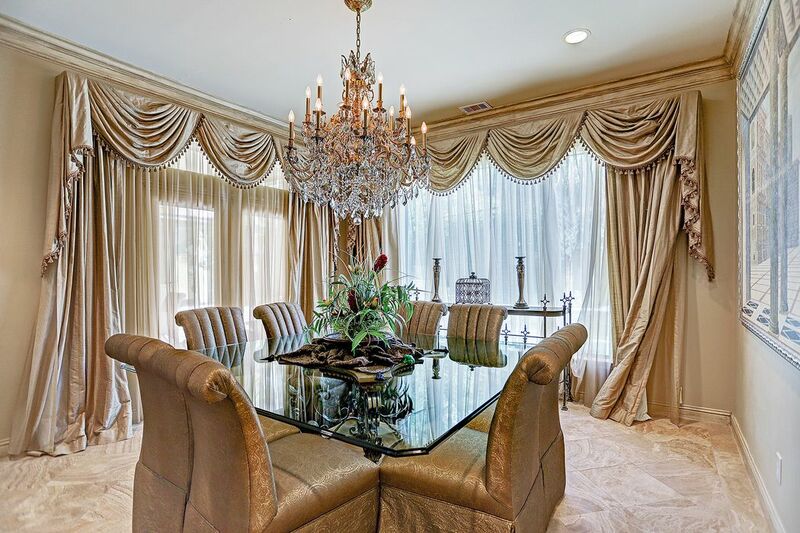 [Formal Dining 13x11] This elegant dining room is filled with natural light through its two full-length windows overlooking the pool and covered porch. 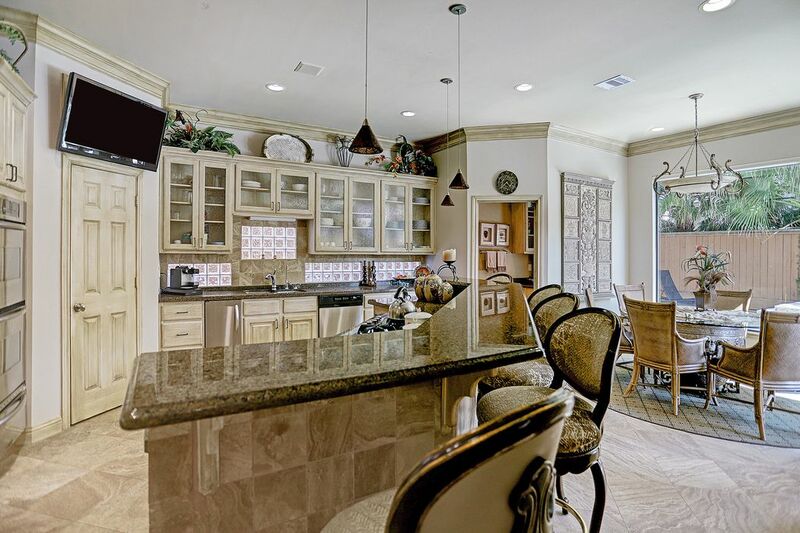 [Kitchen 15x13] Double ovens, a breakfast bar, a gas range stove, and granite covered countertops are just a few of the amenities in this kitchen. 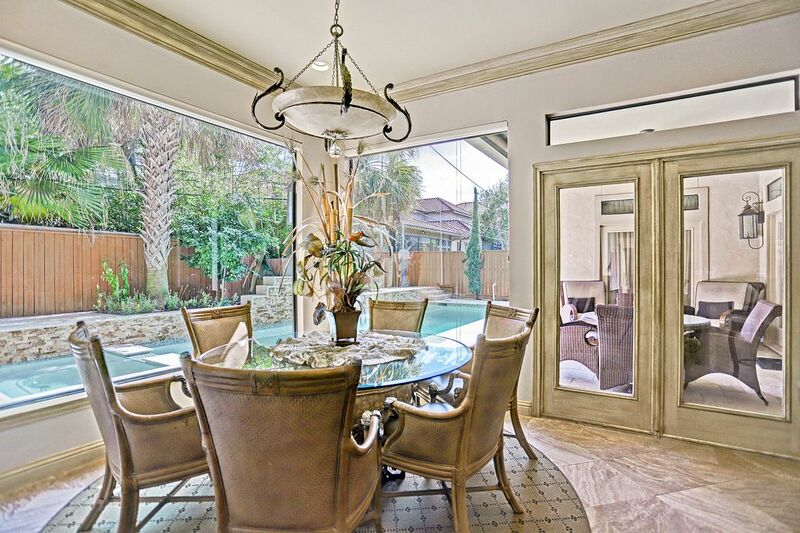 [Breakfast Room 10x6] Accessed from the kitchen, the breakfast room overlooks the gorgeous pool. 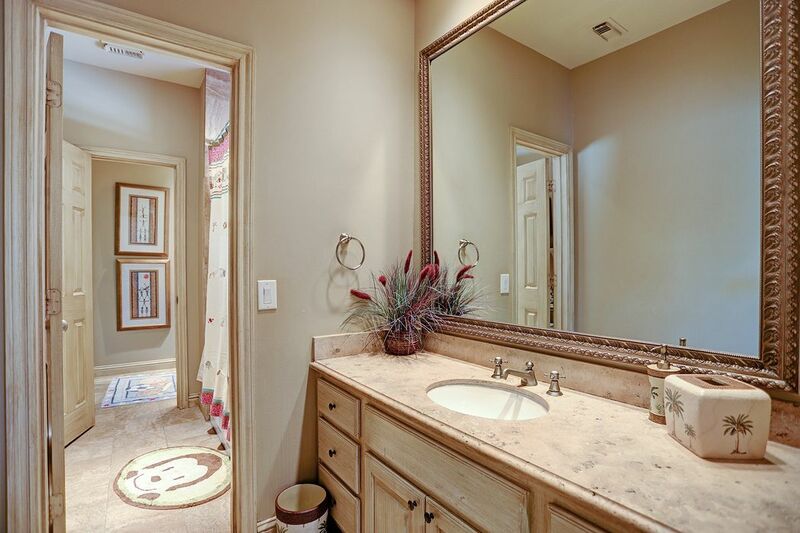 [First Floor Powder Room] Just off of the kitchen, the powder room could also be used as a pool bath. 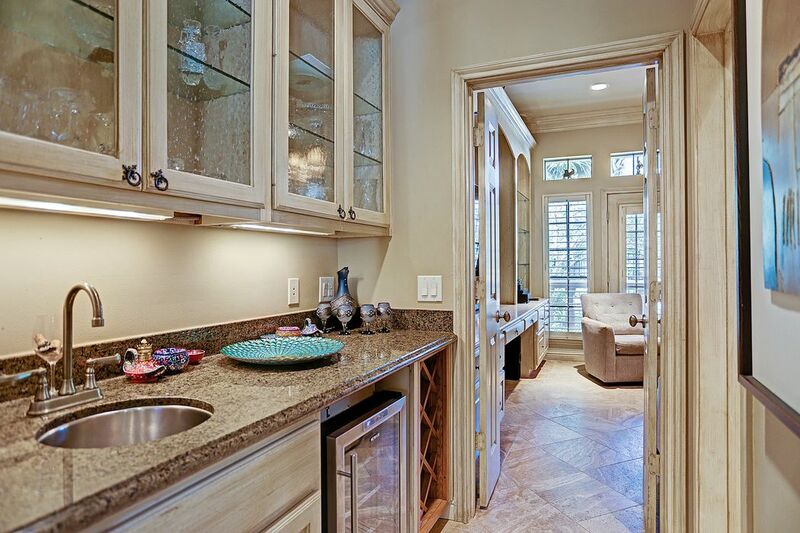 [Wet Bar] Connecting the Den to the Formal Living Room, the wet bar is in the perfect place for entertaining. 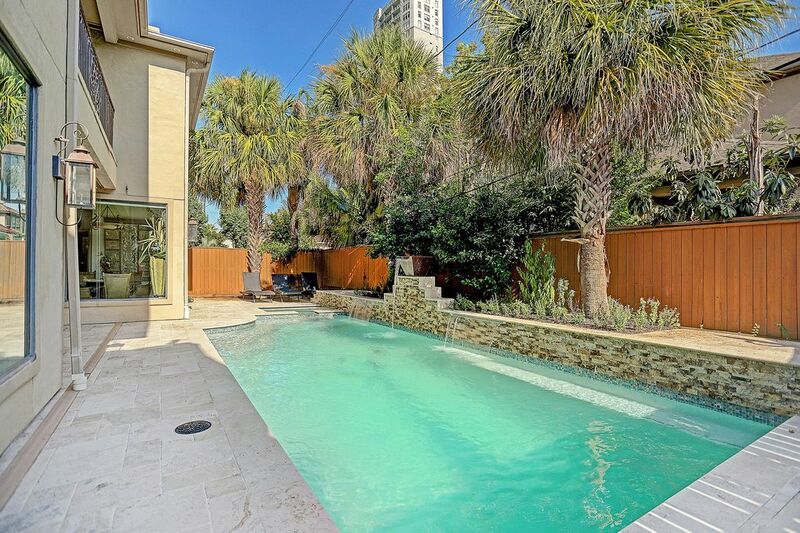 Pool was redone 3 years ago per Seller. 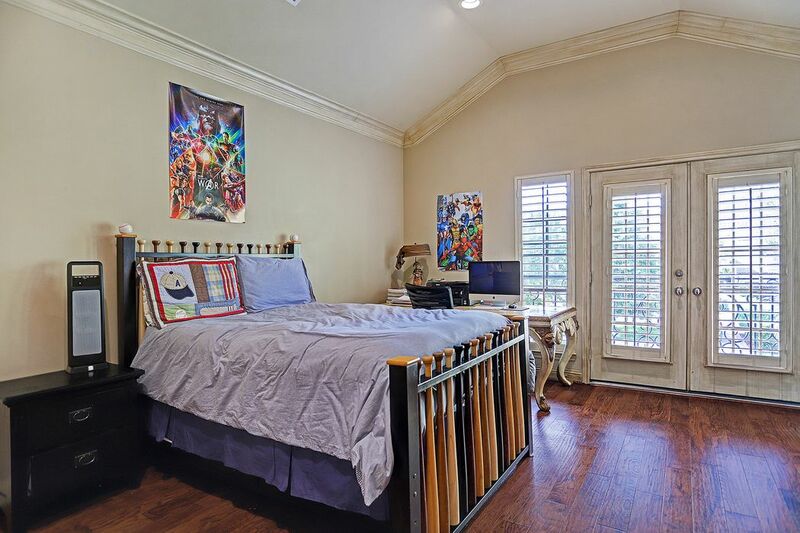 $990,000 4 Bedrooms4 Full / 1 Partial Baths4,541 sq. 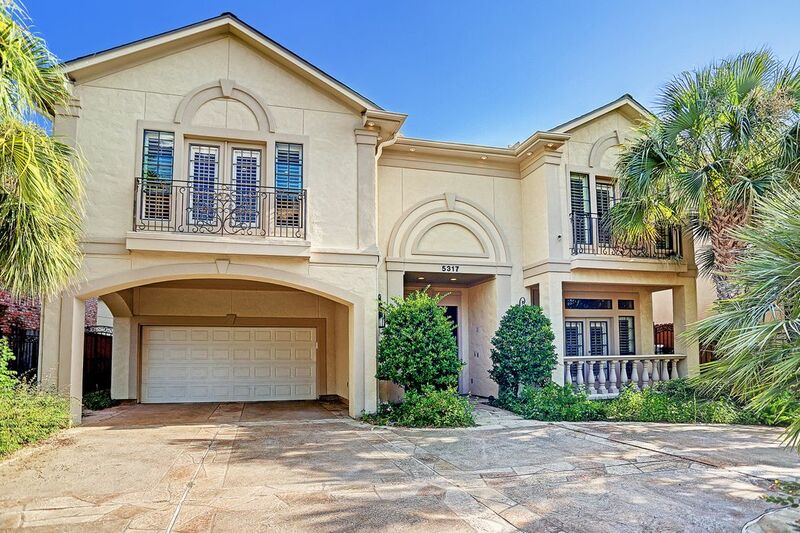 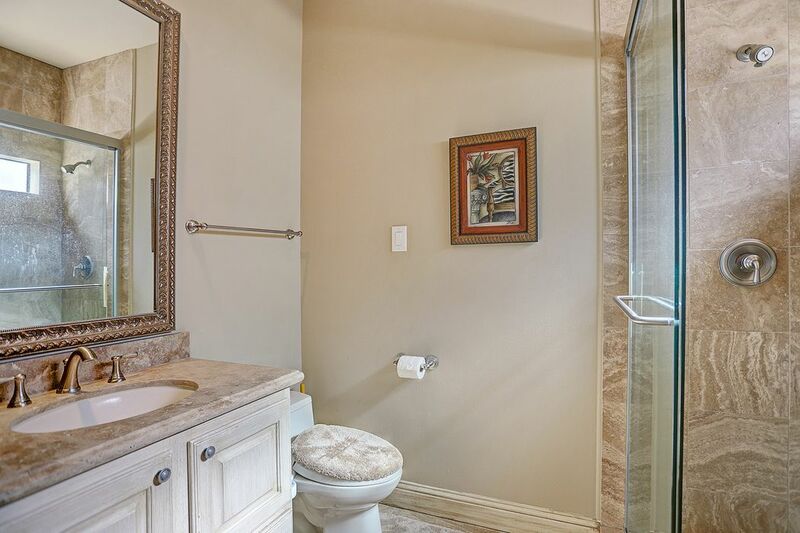 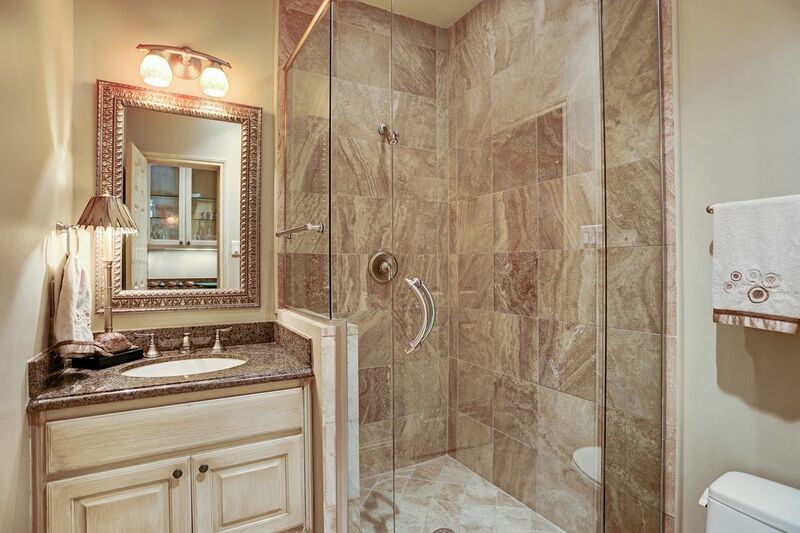 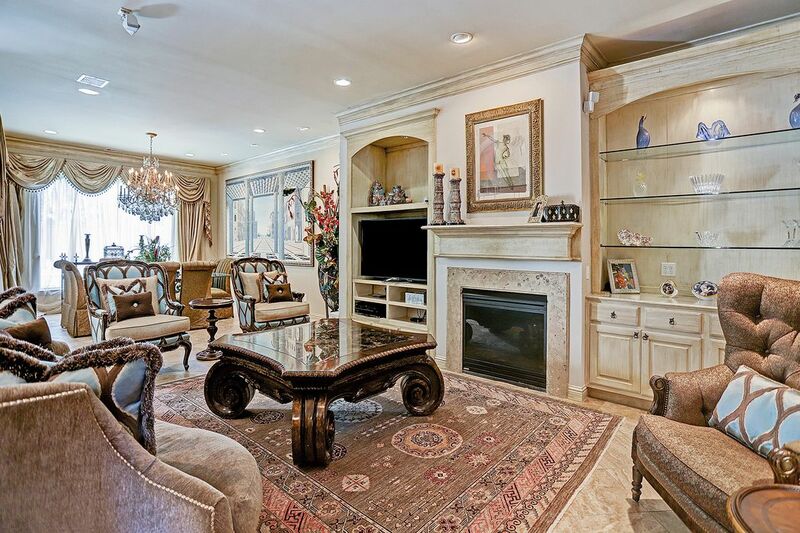 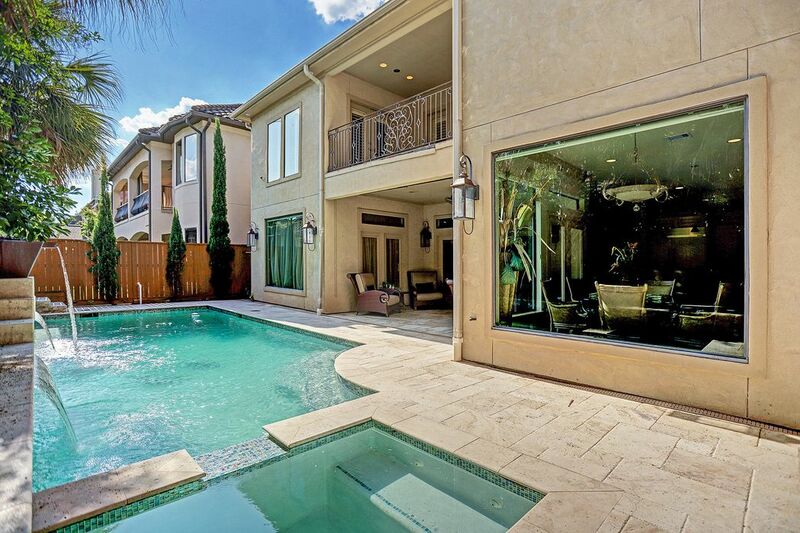 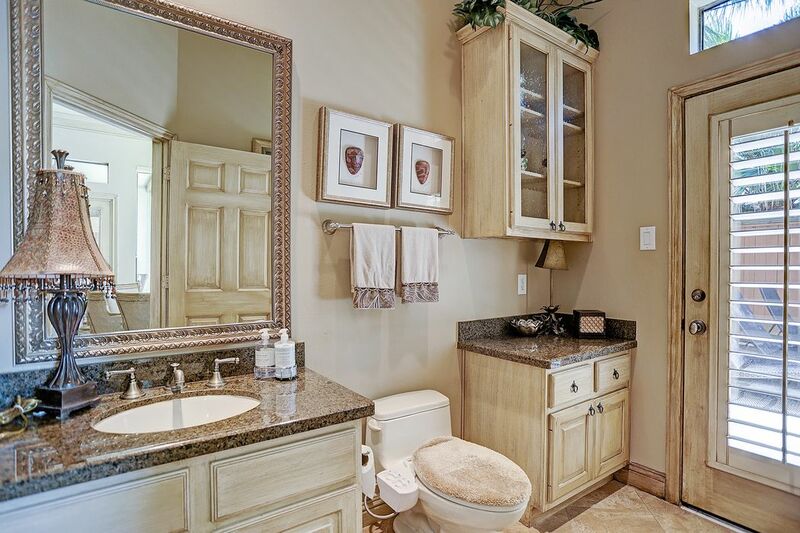 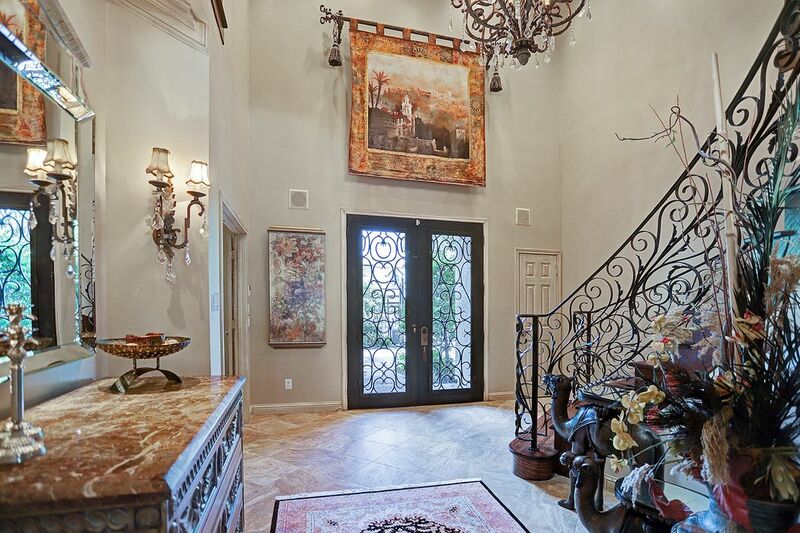 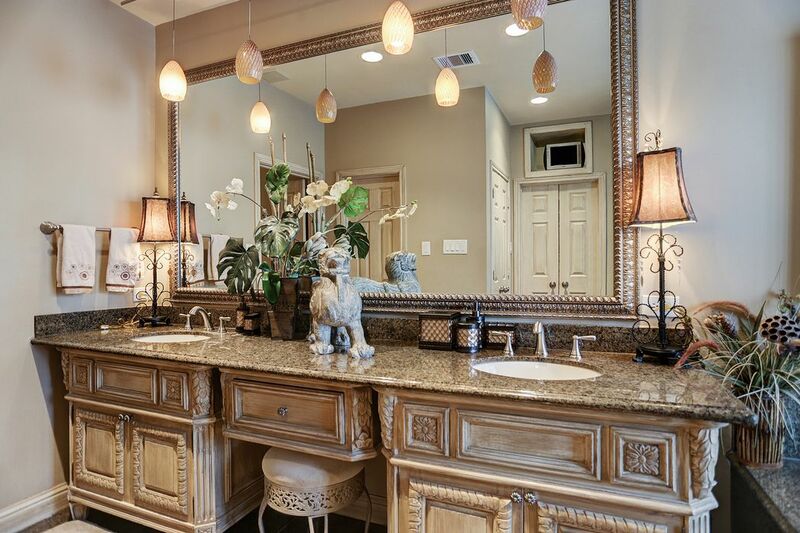 ft.
Gorgeous, open floor concept home in the heart of the Galleria. 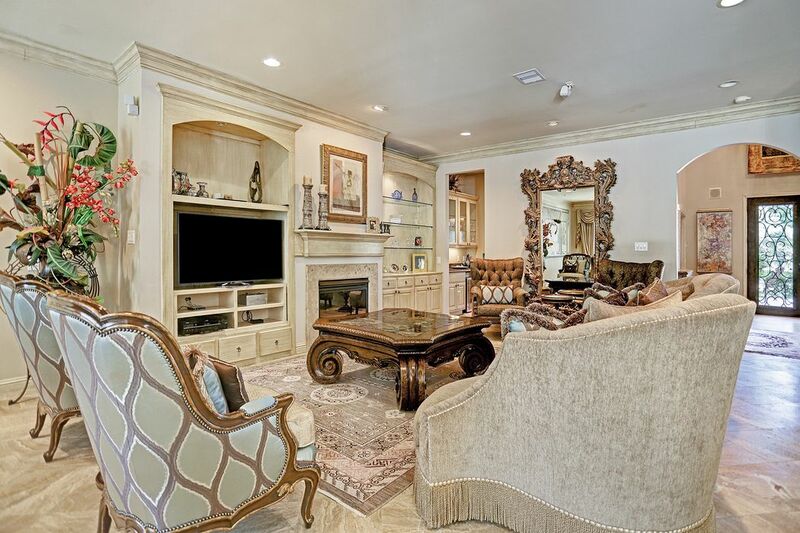 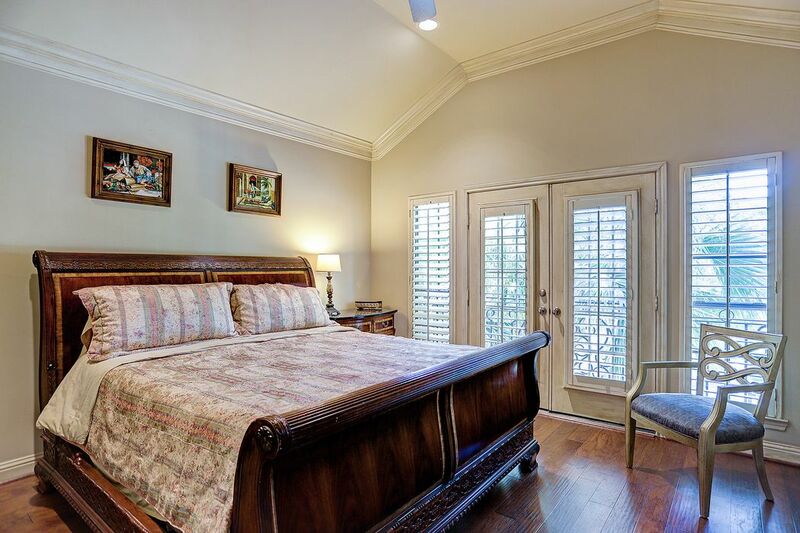 Amenities include a spacious, gourmet kitchen with granite countertops, breakfast room, formal living spaces, oversized bedrooms with large closets, honed travertine flooring, plantation shutters, hardwood flooring throughout second floor and water softener system. 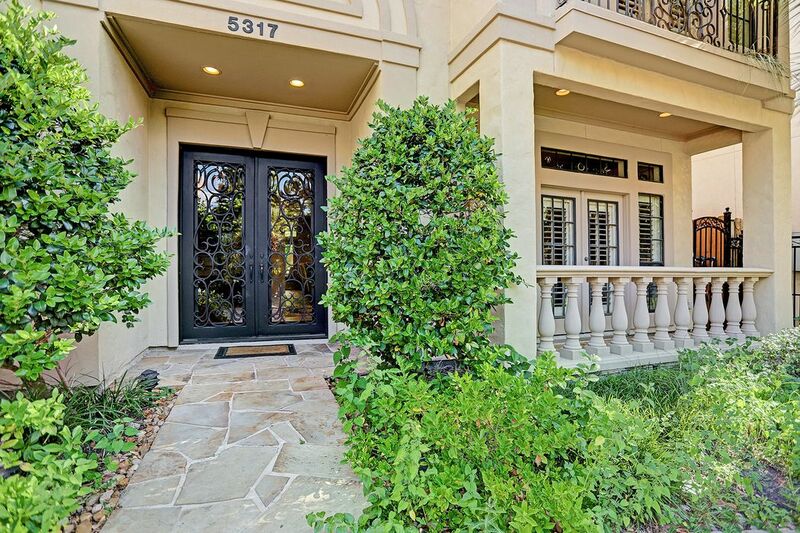 Exterior amenities include pool/spa redone in 2015 per Seller, circular drive, gated access, two-car garage plus attached carport, covered patio, and second floor balcony. 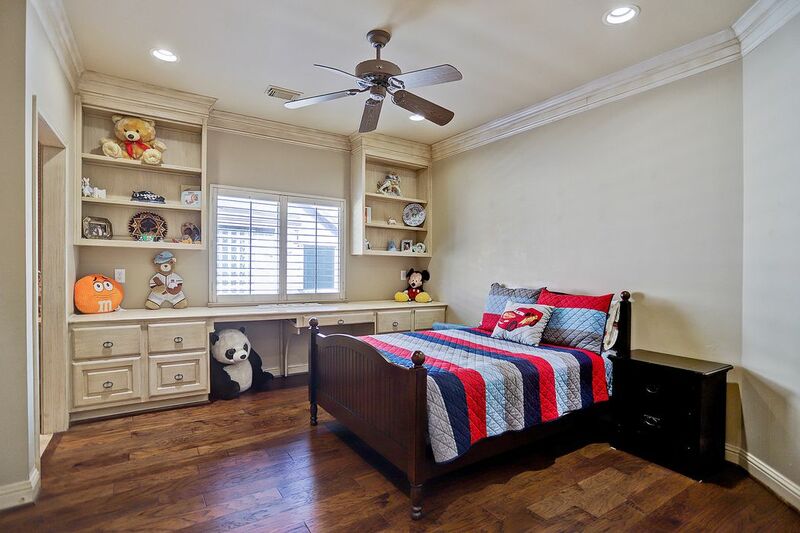 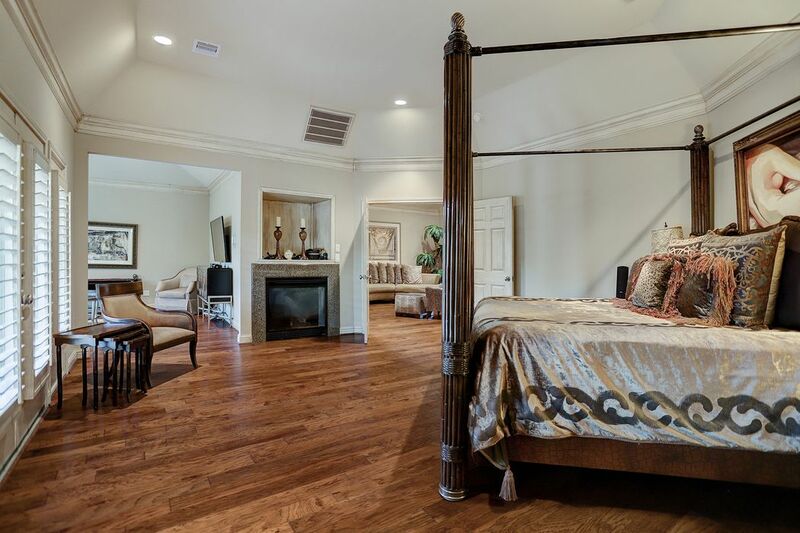 Master suite includes a sitting area, luxurious walk-in closet with built-in shelving, and large master bath.